No matter how spacious and new your home is, it could certainly use an update or two every once in a while. However, most of the changes people generally want to introduce are expensive and time consuming, and not really worth the investment in the long run. That’s why you need to focus on ideas that are frugal and efficient because these things make the biggest impression on your guests and make your life much easier. If you’re still unsure which projects to pick, here are five ideas that might help you. 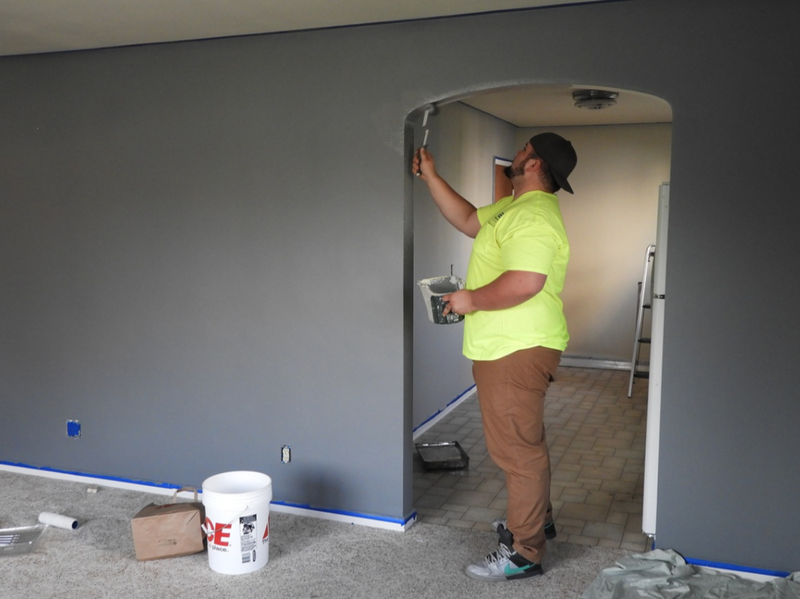 People are usually afraid of change, but that’s just because they don’t realize what a simple paint job can do to your home. Just pick a nice soothing color for your walls and learn some of the basic painting techniques, and you’ll have a brand new home in a matter of hours. You can also repaint your cabinets, bookcases, window frames and even your front door, thus creating a really significant change every member of your family is going to enjoy. Using old furniture instead of new one and giving it a brand new purpose is the best way to save a ton of money while furnishing your home. You can reupholster old chairs and sofas, turn an old table into a desk for your home office, and use the wood from your old doors to create some new countertops. Also, don’t be afraid to buy things on a yard sale or at a flea market, and then simply fix them up a bit – these are two amazing ways to get new furniture that’s both cheap and durable, so give this idea a thought as well. Living in a house with a backyard and a deck is much better than being stuck in a tiny apartment with no outdoor space at all. However, even the best of decks require some attention, and you should maintain them properly if you want to be able to use them in the years to come as well. Depending on the size of your deck, consider using heavy-duty adjustable pedestals, for example, as these will provide your deck with all the support it needs, and turn it into the focal point of your entire backyard. As you can see, you can do some of these things on your own and save a lot of money that way, but other projects are just out of your league. You shouldn’t mess with more complicated renovations because about a million things can go wrong in a matter of seconds, so finding the right renovation contractor and trusting them to renovate your home is the way to go. Talk to your friends who have recently had their home renovated and you’ll find the right person for the job easier than you think. Bathrooms are usually the smallest spaces in our homes, and people generally don’t consider them when thinking about renovating their homes. However, this is the worst decision they could make because renovating a bathroom can be rather easy and affordable, and it will do wonders for the atmosphere in your home. Some of the things you could do include laying new tiles, updating fixtures, adding a few eco-friendly upgrades and purchasing second-hand material that’s just as good as new one, but much cheaper. This way, your bathroom is going to become the nicest space in your home and your personal oasis where you can relax after a long day at the office. There are lots of ways to renovate your home on a budget, and even more reasons why you should do so as soon as possible – your home might not be as new as it once was, you might be thinking about selling it, or, in the end, you might just want to create a nicer and more comfortable living space for all members of your family.